The toucan trend seems to be sticking around (what’s not to love about this tropical bird?!) so we decided to put our love for decoupage and toucans in one tutorial! Read our step by step tutorial to learn how to use our FREE template to create this awesome home decor design in this week's flashback! 1. Begin by downloading our free toucan template. 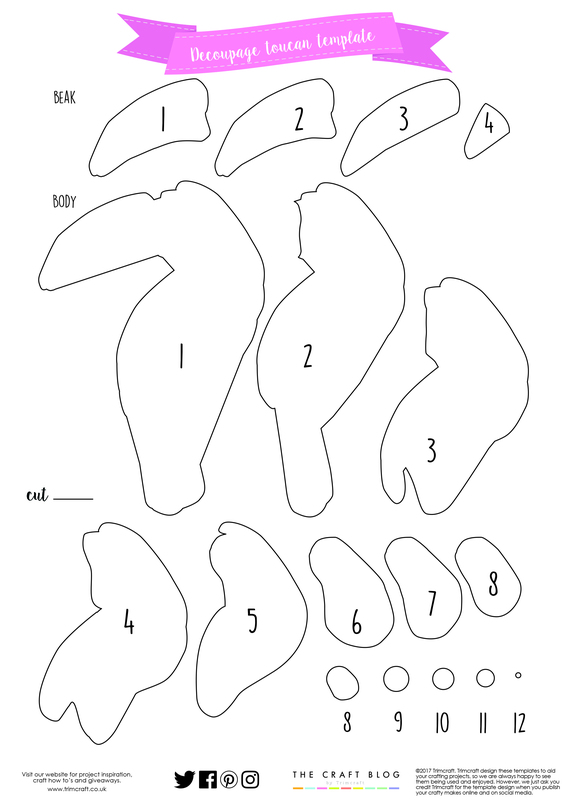 Starting with the body, cut out and draw around each section onto your chosen A4 Dovecraft card. TIP: Number your sections so they don’t get mixed up. 3. Repeat this with the eye section of the toucan (pieces 8-12) with your chosen Dovecraft coloured card. 4. Use Dovecraft Perma Fix tape to secure all of your toucan decoupage pieces. You can then style your toucan whatever way you like! 5. Angel has die cut leaves from the First Edition Foliage dies set and placed them behind a circular green card aperture. She has then layered it onto a blank canvas, adhered the toucan and cut out a brown branch to place on top! This decoupage technique really brings this vibrant toucan to life! You could make this template smaller so you could pair this big toucan with a baby toucan (nawh) or perhaps to fit a small project like a card! 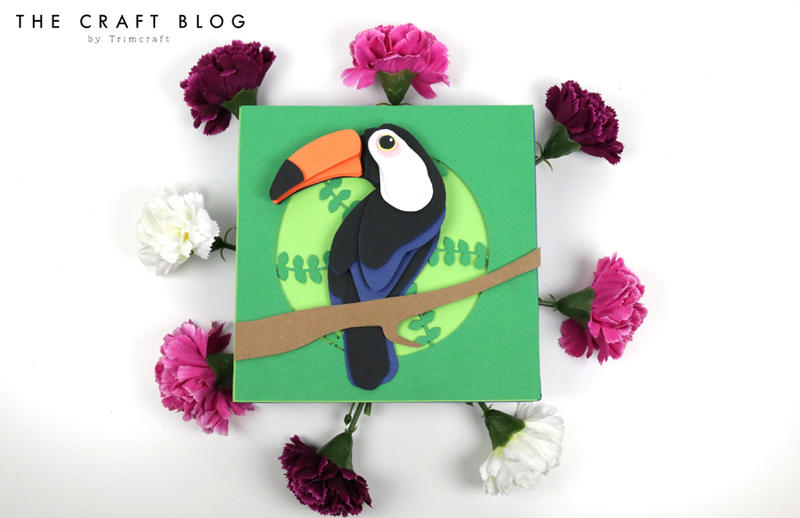 We would love to see how you use our free toucan template so don’t forget to #trimcraft when uploading to social media and to share your makes in the Inspiration area!